For average coffee drinkers, you may have skipped the nitty gritty of your drink countless of times and just settled for whatever you think tastes good. You may have also grabbed bags of coffee beans in groceries that boast stamps of “100% Arabica”, without actually understanding what it entails. Just how different are coffee beans from one another when they look absolutely the same? The answer, to put it simply, lies in the flavor. The most common types of coffee beans grown locally in the Philippines are arabica, robusta, and liberica, all of which carry a distinct taste. So the next time you visit your go-to café or when you shop for beans, be sure to refer to this quick guide to know exactly what type of local coffee bean matches your taste. Robusta beans are easier to grow which is why they’re used in 3-in-1 instant coffee products. However, they contain more acidity and caffeine than its other counterparts. And because there’s more caffeine, this type of bean releases an earthy yet harsher taste that may remind you of rubber tires. Don’t let this turn you off though; high-quality robusta beans can add to thicker crema (or the brownish foam) on top of Italian espresso. Medium-roasted arabica beans. Photo courtesy of Wikimedia Commons. 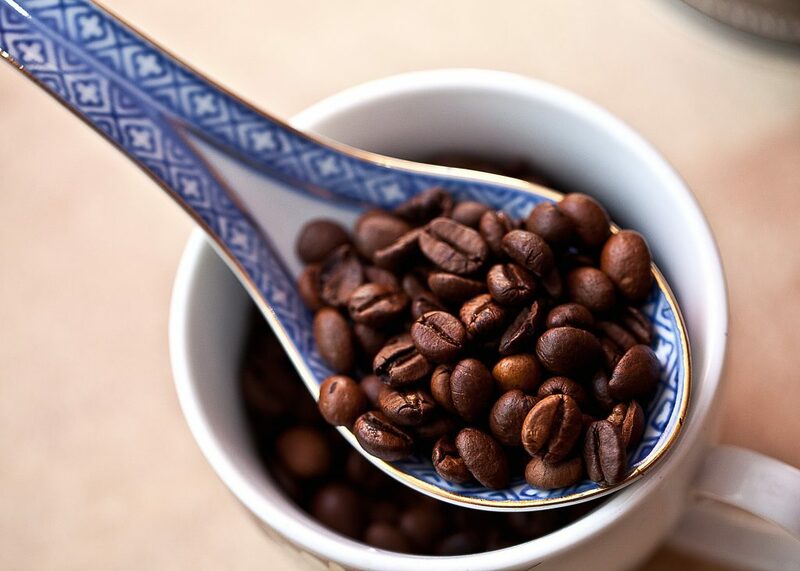 Arabica beans are considered to be high-grade and make up for 70% of the world’s coffee production. They’re generally more expensive and flavorful than the robusta, with taste notes of citrus, chocolate, berries, and other fruity flavors. Its smoother and sweeter taste makes it perfect for most coffee beverages in shops. The Cordilleras are also known to produce superior local arabica beans. Kapeng Barako, a Batangas native, comes from liberica beans. The almond-shaped beans have a strong yet fruity flavor with hints of chocolate, berries, and spices, sort of like a fusion of arabica and robusta beans. Moreover, they’re traditionally grown in the country, which makes the bean rare in other parts of the world.